Welcome to my Watercolors art on rice paper gallery! techniques and my own innovations. 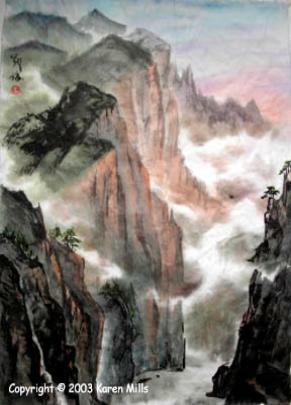 names: asian painting, Chinese art painting or sumi art. My inspirations and motivations are many and varied. Some of these are documented in my blog. prints or art cards which are available for collection. inspires you to pursue your own creative dreams. be one of my special collectors. Or send to the special people in your life.